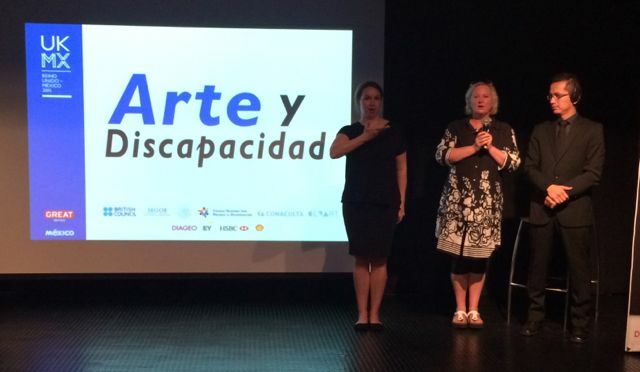 Today we presented an 8-hour forum on Arts & Disability in a black box theatre behind the Auditorio Nacional. At Cervantino International Festival a few days ago Candoco Dance Co became the first disabled company to perform there, and we're bringing another disabled theatre company Graeae, to Guadalajara in about seven weeks, so it seemed like a good time to discuss the whole issue of arts and disability, along with Lourdes Arroyo of DanceAbility, Alberto Lomnitz of Sena y Verbo and an invited audience of sixty professionals. Jenny Sealey is an amazing character: deaf since a playground accident aged 7, but has run Graeae Theatre Co for 18 years and co-masterminded the opening ceremony of the London Paralympic Games in 2012. She travels with a sign linguist, but we had also had one doing it in Spanish. I hadn't quite appreciated that sign language is not universal. 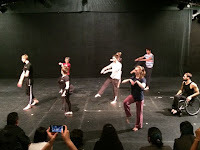 We then watched Candoco in an open rehearsal of Set and Reset / Reset which actually I'd seen three years ago in Beijing (see post). 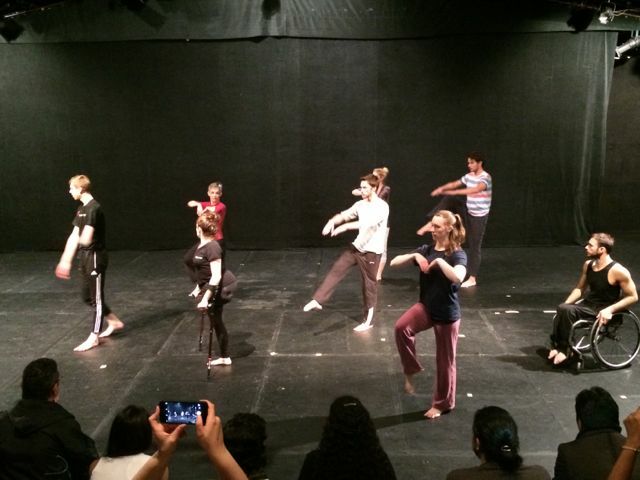 The two Mexican speakers's works were on a smaller scale, but interesting: Lourdes choreographs and still performs, while Alberto runs a theatre company for deaf actors. Fascinating day.